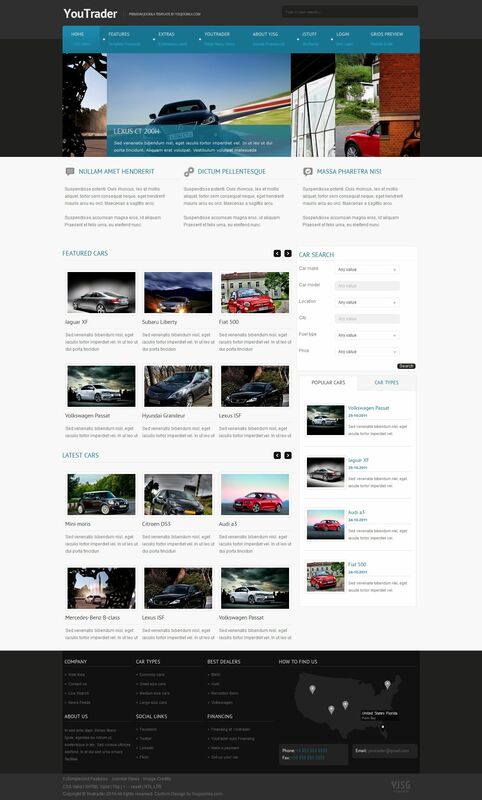 YJ Youtrader - new functional pattern on automotive topics from developers studio YouJoomla, which is supported by all mobile and tablet devices and easily optimize the display on them. Thanks to the integrated support system component K2 and corporate development YJ K2 Filter, filter materials brilliantly template for the given parameters. YJ Youtrader template is designed to develop, modify and implement any product catalogs. In addition it should be noted that the functional YJ Youtrader allows you to apply additional templates for the component K2. At the same time the creators have implemented additional extensions such as YJ K2 Image Slider, YJ Accordion Slider, YouYork Module Slider, YJ Live Search, YJ Module Engine, YJ Multitabs, which will undoubtedly enhance the ability of the template.